When meeting a VIP, be prepared to keep your encounter brief. One situation that qualifies as an unforgettable moment is when you have the chance to introduce yourself to someone you admire. It may be a famous academic or lecturer, an actor, business person, or athlete. No matter the category of importance the person has been awarded, that person has been deemed worthy of respect by you and you would like to meet him. 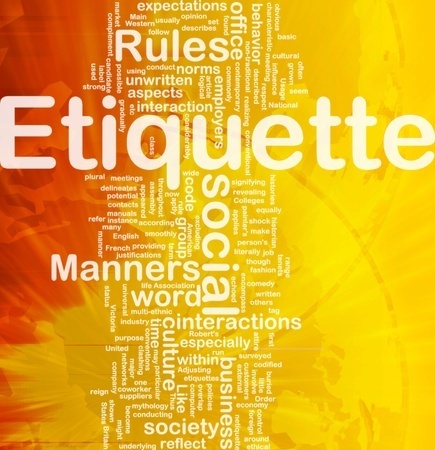 Whether you see this person in public, or in a controlled situation such as an event, a lecture, or an intimate gathering, if meeting him or her is something that is important to you, etiquette can guide you. There are specific guidelines for introducing yourself to someone, but remember, etiquette is situational and contextual. Meeting a VIP is a little out of the ordinary in that it's probably going to last only a moment. Sometimes the protocol to observe is obvious, or may take some planning. You might need to reserve your place in a queue, or perhaps you are near the person whom you'd like to meet and others are gathered around. Take note of the situation and be respectful of boundaries. Would you be interrupting if you approach the person? If you're at a social gathering where people are mingling, and the VIP makes eye contact with you, this might be an opportunity to approach. But if after an event, when several people are gathered around, the chance that you would only be disruptive is greater. Let the situation guide you. Prepare to make your encounter brief. Do you know why you want to meet this person and can you express that thought in one sentence? Providing a context helps make the introduction more comfortable - and memorable - for you both. Not only can you show respect for others waiting to meet him or her by preparing your quick introduction, you can also prevent wanting to kick yourself later for blathering nonsense to someone you admire. An appropriate introduction would be, "Dr. Williamson, my name is Mary Jones. 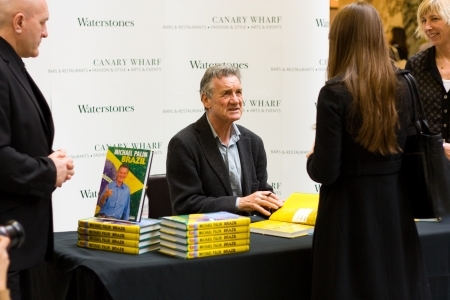 I've followed your work for years and wanted to seize an opportunity to meet you." Depending on the situation, you may or may not shake hands. If there is a queue, such as at a book signing or reception line, the VIP is meeting many people and will likely have a very tired hand and wrist. It is acceptable to wait for him to extend his hand first. Eye contact, a smile, and a clearly spoken greeting are always appreciated! Living fully starts with being willing to put yourself out there and initiate connections, however brief. Introducing yourself involves saying your name, but it gives practice in connecting with others in a variety of situations. What is important is that you introduce yourself in ways that are appropriate to the situation, and make people remember you in that moment as someone worth meeting. A well-regarded person will also appreciate you reaching out to express something of personal importance about him or her. If you have a strong desire and opportunity to meet someone you admire, I encourage you to do it! These opportunities seldom happen, and you never know what may come from them.